Cable looks set for another down week again. 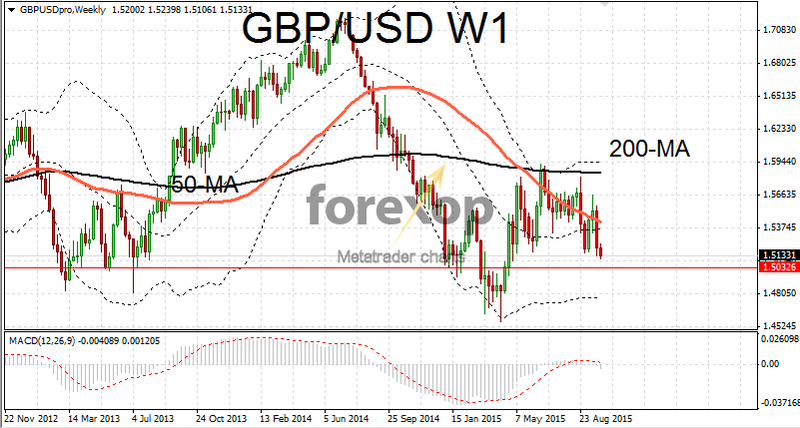 GBP/USD was testing five month lows today as bearish sentiment continues to weigh on the UK pound. GBP/USD staged a turnaround early in the session with a break up towards 1.5180. But this was quickly sold down and the pair moved sharply back to the low end of the 1.51 range again. Encouraging data on the state of UK manufacturing failed to offer much respite. Markit reported that its purchasing managers’ index for September was 51.5. That’s just off the previous month’s figure of 51.6 but it did come in at the top end of most analysts’ estimates. Commodities markets were in better mood today after the latest economic data from China. Manufacturing activity during September was slightly higher than expected. Caixin reported that its purchasing managers’ survey was flat at 47.2. Meanwhile NBS reported a small rise in its survey with a number of 49.8. That’s up from 49.7 in August. Helping to restore faith is the fact that the Shanghai Composite has stabilized somewhat since mid-month. Metal prices improved today but crude oil slipped back below 48 USD. The Canadian dollar recorded a second day of gains versus the greenback. USD/CAD fell nearly one percent dropping as low as 1.3215 as the loonie gathered strength. South Asian currencies were also in better frame today. AUD/USD remained above the 0.70 line. NZD/USD rallied to a two week high reaching 0.6452. Both however were coming off very depressed levels.